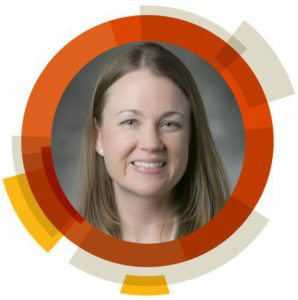 Congratulations to Professor Amanda Hargrove from Duke University, USA, the recipient of the 2019 MedChemComm Emerging Investigator Lectureship! The Lectureship was open to any candidate who received their PhD in 2009 or later and have made a significant contribution to medicinal chemistry in their early career. The MedChemComm Editorial Board then voted on a short-list of nominations. Many congratulations to Prof. Hargrove for winning the lectureship. Amanda E. Hargrove, Ph.D. joined the faculty at Duke University in 2013 as an Assistant Professor of Chemistry following an NIH postdoctoral fellowship with Professor Peter B. Dervan at the California Institute of Technology and doctoral research at the University of Texas at Austin with Professors Eric V. Anslyn and Jonathan L. Sessler. Her research group at Duke focuses on developing small molecule probes to investigate the structure and function of RNA molecules relevant to human disease. You can find out more about their research by visiting the laboratory webpage. Prof. Hargrove holds a secondary appointment in the Biochemistry Department and membership in the Duke Cancer Institute, Duke Cellular and Molecular Biology Program, and the Center for Biological and Tissue Engineering. Her recent honors include the ChemComm Emerging Investigator Lectureship, NSF CAREER Award, Cottrell Scholar Award, and the Prostate Cancer Young Investigator Award. For a selection of her excellent research, please see some of Prof. Hargrove’s recent works below.